EDUCATION Minister Dr Maszlee Malik has been criticised, again. 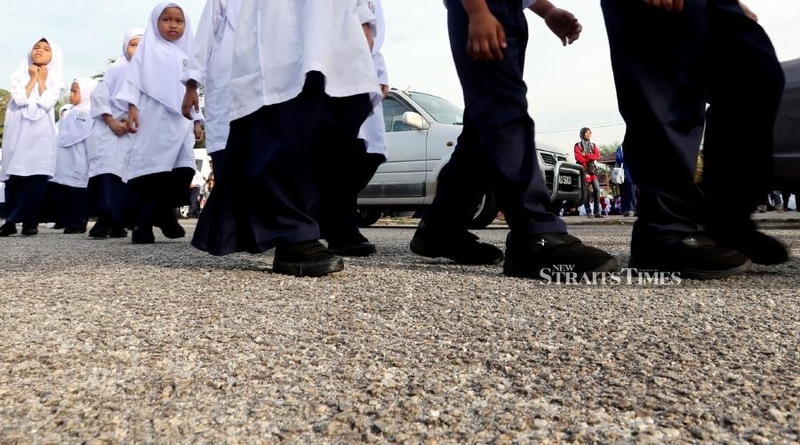 Several articles appeared in a news portal, some recycled material while others referred to his controversial “black shoes” ruling for schoolchildren . This letter will explain what Maszlee has done since he was appointed to the post. His ministry is one of the largest with about 10,000 schools, half a million teachers and half a million students — this does not include the universities. Among others, he has abolished examinations for Years One to Three; proposed a curriculum revamp (this is expected to be implemented in 2021); reduced teachers’ non-teaching tasks such as paperwork and clerical duties; restored autonomy and academic freedom by tabling amendments to the Universities and University Colleges Act 1971; and introduced a new policy to address the issue of stateless children to enable them to attend national schools. Under Maszlee’s tenure, the ministry has restored residential schools (s ekolah berasrama penuh) for the benefit of poor students. This policy enables more students from the Bottom 40 per cent income families to study in residential schools. Of the 9,350 students who enrolled this year, more than 52 per cent are from B40 families, a significant increase compared with the previous years. By doing away with exams for Years One to Three, Maszlee has allowed for a more holistic development of pupils. International education systems like the Finnish model have proved that introducing test-based accountability too early in a child’s education harms their potential. Teachers can now focus on developing their pupils’ true potential. Revamping the curriculum, however, cannot be done hastily. Maszlee has formed a Policy Committee and National Education Advisory Council and engaged stakeholders to draw up proposals. This entry was posted on Tuesday, April 16th, 2019 at 6:49 pm	and is filed under Educational Issues. You can follow any responses to this entry through the RSS 2.0 feed. Both comments and pings are currently closed.